Commuting to the university or any other places in Loughborough can sometimes be frustrating, especially if you are using public transport. From congestion to high fares, there are various problems associated with travelling by bus orcar. This article takes a look at why riding a scooter in Loughborough is a better alternative and the benefits of choosing one of ours. Why Own a Scooter in Loughborough? Faster in Traffic: Scooters can weave in and out of traffic, making it easy to get to your destination. Parking: You can park a scooter almost anywhere in Loughborough, saving you money on parking cost. Price: Scooters are also cheaper than other vehicles and are easy to maintain as well. Minimum Age: While you can’t drive a car at 16, you can legally ride a scooter at the same age. Thus owning a scooter in Loughborough gives you the independence to get around town at an earlier age than cars. Fuel Cost: Scooters are also very fuel-efficient. Our 50cc or 125cc scooters can last days before they’ll need refuelling. Price: At Direct Bikes, we deal directly with manufacturers. As a result, our scooters are the cheapest in Loughborough. 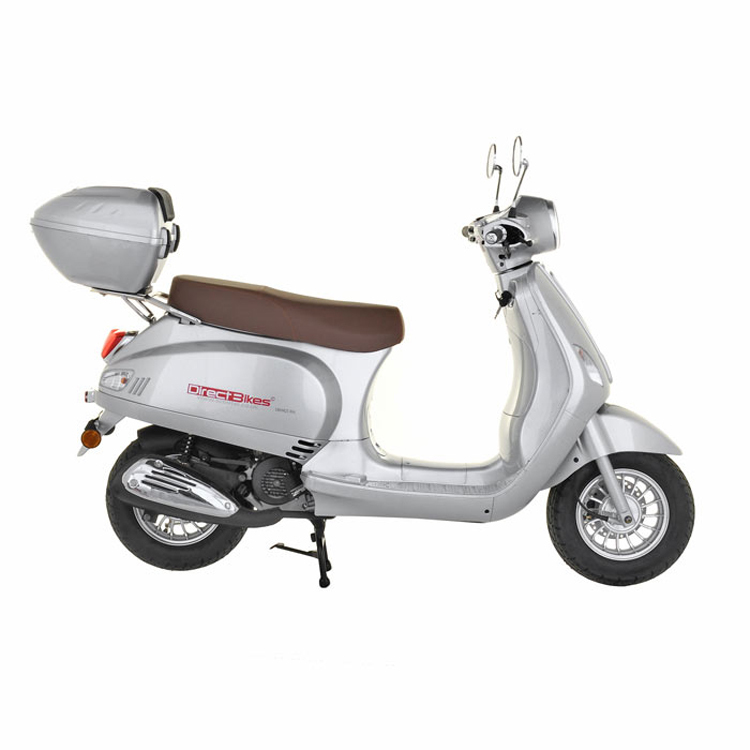 You can get a 50cc or 125cc scooter for between £999 and £1099. Finance Options: We also offer finance options that enable you to pay in instalments if you cannot pay at once. Design: Our scooters come in a variety of designs and colours. Therefore, you’ll certainly find one that appeals to you. In addition, depending on the time of the year, we give a free top box with every scooter you purchase from us. Insurance: We also offer to help you find the cheapest insurance deals by comparing quotes from the top insurers in the country. Although we have no dealerships in Loughborough, getting your scooter is no hassle. All you have to do is fill in your delivery details as part of the payment process. With the information given, we’ll calculate the cost of delivery and the best date and time to deliver your scooter.